There are several charities and organizations in and around Calgary that will greatly appreciate donations of new and gently used items and connect them to people in need. Recycling is a great option when an item is no longer in usable condition as it helps reduce landfill waste, reduce pollution and greenhouse gas emissions and helps conserve resources by extracting fewer raw materials from the earth. If you aren't sure how to recycle or dispose of an item, check City of Calgary's residential recycling and disposal search tool. Calgary Dream Centre is a faith-based recovery organization working to change the lives of those most vulnerable in our city. They accept a wide range of clothing, appliances, furniture and non-perishable food. Please ensure appliances are in working order. Calgary Drop-In Centre accept clothes, furniture, computers, mobile phones, small appliances, recyclable beverage containers, books – any item that will help their clients succeed in day-to-day life. They ask that items are free of animal hair, odors, and are in generally good condition. Calgary Inter-Faith Furniture Society accepts donations of gently used furniture (tables, chairs, dressers, beds, sofas, side tables), Kitchenware, small appliances, dishes, cookware, toys and games, clothing, books, music. Free scheduled pick up is available. Dress for Success accepts women's modern two-piece suits, blazers, dress pants, skirts, dresses, dress shirts and blouses, cardigans, purses (mid to large size and work appropriate), accessories (jewelry and belts), professional outerwear: coats, scarves and gloves, dress shoes & boots, unopened toiletries, hygiene & grooming products. Goodwill accepts clothing,accessories,jewellery,shoes of all kinds, home décor and accessories, small countertop appliances, LED & LCD TVs, stereos and other small electronics, small tools, most sporting equipment, toys and games, books, movies and music, household goods, linens. ReStore accepts appliances, furniture and building materials by dropping them off at the store or you can request a pickup. Donations valued at $150 or more will receive a charitable tax receipt. Making Changes accepts women’s business, business casual, and casual clothing, shoes, accessories, outerwear, new and gently used bras, brand new undergarments, hosiery, unused cosmetics, skin care and personal care products for their "Walk-In Closet" program assisting women going into the work force. Jeans, pants leggings, skirts, athletic wear and other casual wear for their "My Best Friend's Closet" youth empowerment program. Women In Need Society accepts gently used Baby and Children’s Clothes and Toys, Women’s Clothes, Shoes and Accessories, Men’s Clothes, Suits and Shoes, Jewelry and Collectibles, Furniture, Household Items and Home Décor, Sporting Equipment and more. Free scheduled pick up is available. If you have any suggestions or is an organization that would like to be added to this list, please contact me. Best Buy locations in Alberta accepts the following unusable electronics for recycling: batteries, TVs, monitors, computers, laptops, and printers for recycling. Free. 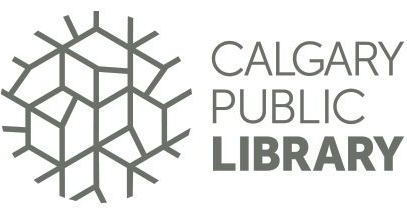 The City of Calgary accepts the following unusable electronics for recycling: TVs, remote controls, HDMI cables, laptops, computers, printers, scanners and fax machines, computer monitors, tablets, computer accessories, charging cables and plugs. Free. All London Drugs locations accept the following for recycling: Electrical and Electronic goods, Small Appliances, Styrofoam, Cell phones, PDA and rechargeable batteries, Alkaline Batteries and more. Free. Recycle Logic accepts accepts the following unusable electronics for recycling: TV's, computers, monitors, servers, computer accessories, laptops, tablets, printers, scanners, fax machines and photocopiers. Free. Calgary Drop-In Centre accepts cloth donations for textile recycling. Not only will you save it from the landfill, but you’ll be helping to fundraise for meals, shelter, counselling, medical services and the myriad other programs for Calgary Drop-In Centre clients. You can recycle clothes, shoes, and other textiles for free at City of Calgary landfills. Clothing and textiles can be in any condition, including stained, ripped, torn, and damaged. Clothing for a Cause is accepting clothing, footwear, household linen and cloth curtains in their bins in several locations around Calgary and surrounding cities in Alberta.